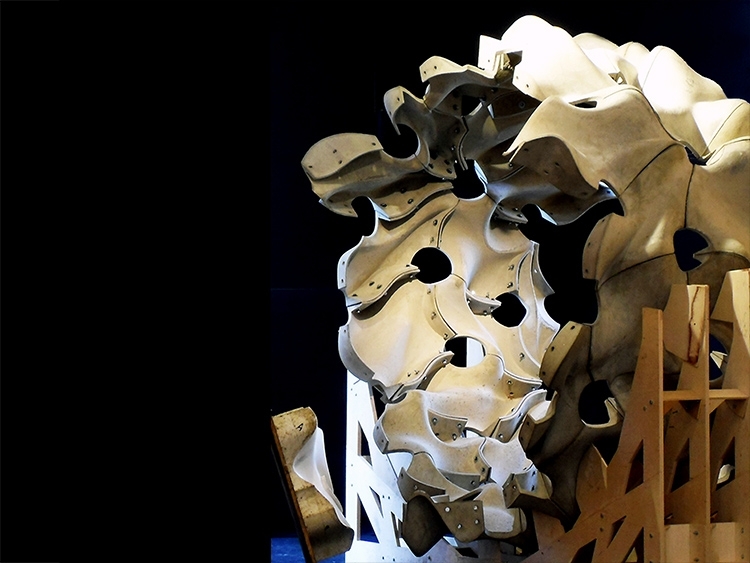 The prototype explores methods for repetitive casting by means of digital fabrication. From the conception of few reconfigurable formworks, concrete elements are mass-produced, yet combined in various ways into a diverse field of repeated elements. The fabrication process resulted in a 4-meter diameter self-reinforcing ring. The project investigates quasi-periodic tiling, displaying long-range order symmetry. From adjacency analyses, assembly rules are determined by sorting which edge of a tile can combine with which edges of other tiles. The research in computation and adaptive geometry examined means of employing complex geometries as framework able to organize efficient systems of production and customization.